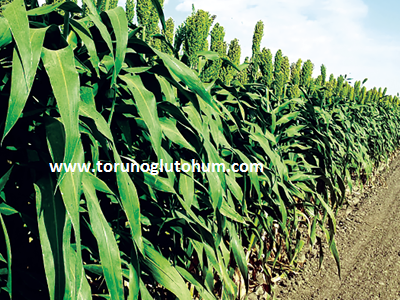 The BMR (Brown Mid Rib) is a new species of Sorghum Sudan that is widely used today in Europe and America. In BMR species, the leaf vein of the plant is brown. In these species, the sugar content is higher in the plant than in the normal species in terms of taste. 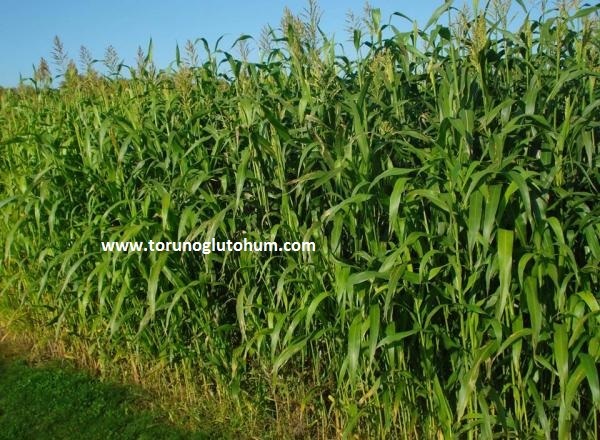 BMR Sorghum Digestion rate is 30-35% higher than normal varieties because the woody structure (Lignin) is lower in Sugrainse varieties. In other words, the animal is more benefited from the plant. This gives the animal an almost twofold benefit in nutrition. It is more resistant to sleep than other types. It is broad-leaved and tall. Sugar ratio is higher than normal species, it is abundant watery and high yield single year bait. The herb is delicious, good quality and nutritious. Animal feeding increases meat and milk yield. It is not very selective in soil structure. However, it develops better in temperate and sandy soils. It can be used as green grass, dry grass and silage. As the first crop, it is suitable to be done when the soil temperature is about 10-12 C after the spring frost of October. As a second crop, wheat can be planted after harvest. The amount of seed is 4-5 kg for seeding by hand, 2.5-3.5 kg for planting with seedlings. Appropriate sowing depth is 1.5-2 cm. It comes first in 40-45 days after October. The ideal shape size is 100-120cm. It is cultivated in form so as to be 10-15 cm stubble from the soil surface. In deep forms, regrowth becomes slow. The ideal form of time for silage is the milieu where the seeds begin to color. The plant must reach at least 70 cm before grazing in green. Soil analysis should be done before planting. 30-40 kg of compound fertilizer (20.20.20 or 15.15.15) should be given as sprinkling in soil treatment while preparing the seed bed in the first spring and it should be mixed with soil. After each form, 46% urea will be given in 15-20 kg depending on irrigation conditions or 26-33% nitrate will be given in 25-30 kg. The origin and place of production is USA. Broad and abundant leafy brotherhood is over. Leaf stalk is high and digestion rate is 30-35% higher. 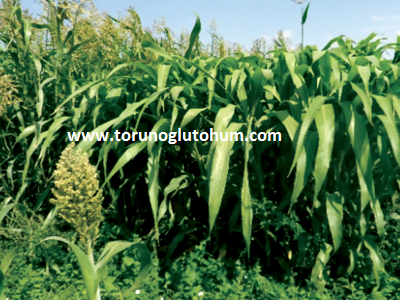 Gives the yield of high green and dry crops. Resistant against all kinds of leaf, mold and fungus diseases. Depending on the maintenance conditions in the sight, 4-5 shapes can be made. 10-14 probes can be used at the first probe and 6 - 8 tons of green grass can be taken at the second probe.